This magnet is 3 1/2 inches big with an industrial strength magnet on the back. It is perfect as a decoration on your refrigerator. 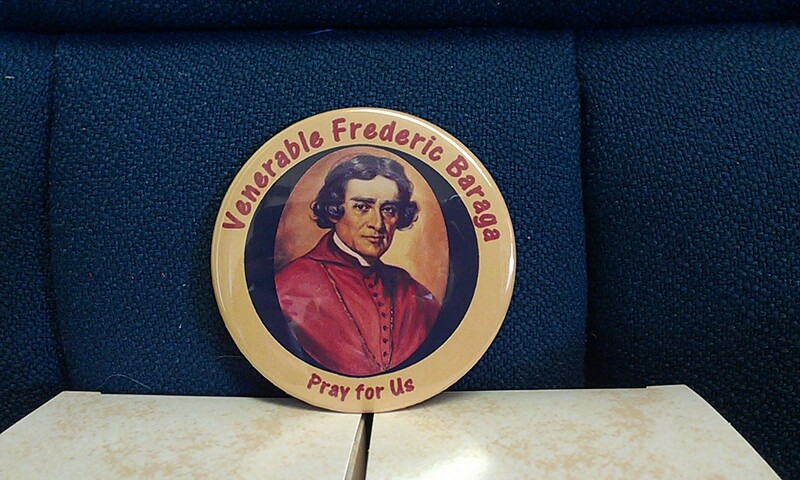 It can serve as a daily reminder for us to pray for the Canonization of Venerable Bishop Baraga. Available in Green or Burgundy. 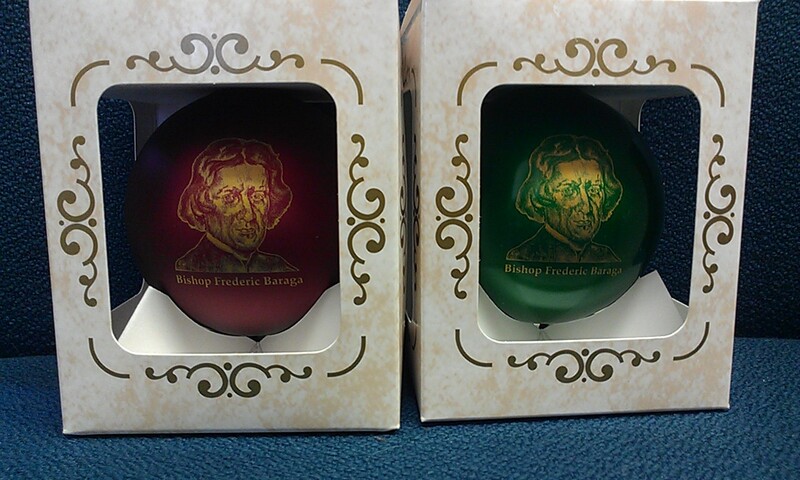 Bishop Baraga adorns one side of this beautiful ornament, while his motto "Unum Est Necessarium" Luke 10:42 adorns the other. Rev. N. Daniel Rupp. Translated by Joseph Gregorich and Rev. Paul Prud'homme, S.J.